The pharmaceutical industry has long practiced singling out one particular component of a plant in order for them to duplicate it chemically and then qualify for a patent. Regardless of how perfectly the chemical component matches the original portion, it still is sorely lacking in one of the most important factors of the original effective compound—the synergistic effect that the other portions of the plant have which makes up the whole. It’s no different than someone taking the cello out of the symphony and trying to pass it off as a full symphony by itself. A piece of lettuce isn’t a salad and an orphaned child isn’t a family. While beans and rice each on their own can taste wonderful, the combined effect of the two of them together comprise a perfect protein for our bodies. This principle is also true when you look at the effect which botanicals have in impacting our health and well-being. The part is more effective when joined with its counterparts. When you combine one or more pure essential oils together, you can rely on a blend that is more effective than if those oils had been used separately. Even more importantly, I would recommend that you only use an oil blend that was put together professionally because the order in which the oils are added as well as the amount is critical. It takes a long, long time to become educated and an expert in this aspect of essential oil use. The frequencies of each oil act separately as well as in a symphonic manner. As such, a single drop of a blended oil with 8 different oils making it up, it will work much better than 8 drops of 8 different oils. That’s synergy for ya! 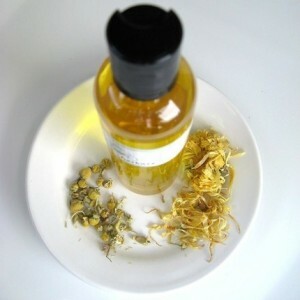 For example, chamomile essential oil has an anti-inflammatory property. But this particular property is powerfully increased when lavender is appropriately used in concert with it. The interaction between these two oils creates a noticeably stronger impact on the targeted ailment. It’s helpful to understand that essential oils all consist of a frequency. Well, frequencies each have a “pitch” like a note. In the case of essential oils, each note determines the rate that the essential oil will be evaporated. This makes sense to most music majors. Just like some notes can penetrate and thus break glass, some essential oil notes permeate organs, other frequencies, It’s also important to note that there is no such thing as an essential oil that works only on the body or only on the emotions of a person. 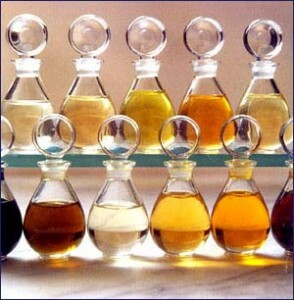 All oils possess a frequency which affects both the body and the heart. Just like the smell of Pepto-Bismal gives each person an emotional reaction, as well as a physical one, so do essential oils. Higher notes/frequencies work most effectively on the mental aspects which plague us. Middle notes/frequencies work effectively on emotions, digestion, respiration, and metabolism before they evaporate. Whereas the deeper notes are more effective in working with other aspects of the body, deeper tissues, and grounding our mental energies to create stronger focus, concentration, etc. because they take longer to evaporate. This is also true because when you really come right down to it, no physical ailment stands alone without any emotional ramification as well. It’s still too complicated to determine which comes first in an ailment—the emotion or the physical detriment—but science has proven that that they simply cannot be mutually exclusive of each other. Along that vein, understand that you may be able to identify an effective essential oil by lining it up with your emotional challenges first and foremost. This isn’t necessary, but in some cases people are at a loss as to what their physical ailment really is, but usually are able to identify the emotional challenges they are experiencing. Chances are very good that if you tackle the appropriate emotional ailment, you’ll also conquer the physical dis-ease. Most of you are aware that Vitamin E is good for you. But you also know that it’s an oil. As an oil, it can easily go rancid when exposed to oxygen and thus become a toxic poison to your body if consumed. You may also know that each kernel of wheat contains vitamin E. It’s actually the E vitamin the preserves the wheat for so very, very long. But if the wheat kernel is cracked, the E becomes a liability as it gets exposed to air. It then goes rancid and ruins the wheat. I share this with you because one of the other benefits of using blended essential oils it that it mitigates any “side effects” the some people believe they have experienced in using a particular essential oils. For example, some folks have a hard time incorporating straight clary sage into their body’s health needs. However, when clary sage is in a essential oil blend, then the other oils help to mitigate the harsh effect of straight clary sage so that we can instead receive the benefit from it. In other words, blended oils give us so many more possibilities of healing as well as greater ability as opposed to the use of single oils. Blended oils are much more effective for children, pregnant women, the elderly, or folks who have serious sensitivities. When blending is performed correctly, everyone can take advantage of the benefits without any nasty side effects. If you’ve ever had a less than desirable experience with an essential oil, I suspect that it’s because a single oil was used, or an incorrectly blended concoction. Essential oils can be utilized in a single form wonderfully to promote healing. However, most users of essential oils find better results when a blend of oils is used, combining several pure oils in order to effectively promote healing at the core as well as the cause and subsequent symptoms. For example, a headache rarely just exists on its own. It’s usually started because of a pinched nerve somewhere, dehydration, or some other illness within the body. Then, as a result of the headache, blurred vision, fatigue, and irritability accompany the symptoms. Obviously, it would be less effective to try and treat just the headache when it would be better if you could promote a body which inhibits the pinched nerves, the headaches, and the subsequent symptoms as well, right? That’s what blended oils are created to do—too work harmoniously on all of the culprits of dis-ease in the body and mind. For example, a person who struggles with fibromyalgia has a litany of sub-problems as a result of the disease: depression, sleeplessness, physical pain, brain fog, and feelings of hopelessness. Appropriate essential oil use would address the cause of the pain in fibromyalgia at the skeletal level as well as aid with the depression, sleep disorder and lack of focus. In such an instance, I would recommend someone use a blend or blends which contain birch for the analgesic and cortisone effect, and is frequently used for muscle and bone pain. 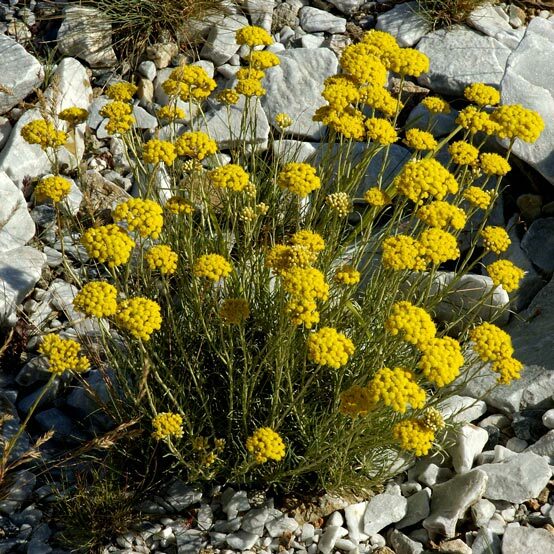 It has anti-inflammatory, analgesic, and anti-spasmodic properties. Likewise, I would also recommend that the blend has Helichrysum in it. Helichrysum is one of the most sought after essential oils and is very expensive, but a person doesn’t need a lot of it in order to have an impact on their body. It’s renowned for it’s skin and muscle relieving properties, blood cleansing, helps regulate cholesterol (which goes haywire when analgesics are regularly consumed) regenerates damaged tissue (which is a big deal when you have torn tissues and surgical adhesions) and helps heal colitis. See how we’re taking care of multiple areas of dis-ease here? 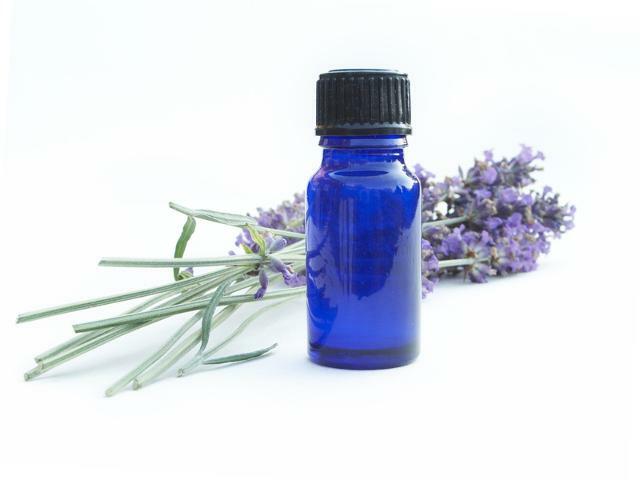 Additionally, I would want myrrh in my chosen blend which has been used successfully for thousands of years for a calming of the respiratory system, digestion, hypo-thyroid, mouth ulcers, wounds, and a feeling of being chilly. It’s also a proven anti-fungal, gland decongestant, aids sore throats, skin conditions, thrush, and hepatitis. Myrrh also has some properties which help brings emotions of relief—which would be ideal for someone battling chronic pain and fatigue. Ok. I’m not going to go further. Hopefully you are getting my point. Bottom line, rather than investing in hundreds of single essential oils and trying to combine them yourself, I would rely on professionally blended oils and reap the benefits accordingly. Additionally, make sure that you’re purchasing 100% pure oils—pure, means pure unless you are the FDA. If you are not aware, let me remind you that the FDA allows labels to state that an essential oil is “pure” so long as it contains 10% of pure—in the true sense of the word—oil as a part of the blend. In other words, a company could sell a 10 ml bottle of “100% pure myrrh essential oil, so long as the bottle which is mostly filled with almond oil has at least 10% of pure myrrh. So always be cautious, read your labels, etc. One last thing I would recommend is for everyone use at least one essential oil daily; it doesn’t matter which one you use for this purpose. Just use one daily! Each time you use a quality essential oil, you are improving your body’s frequency. By improving your body’s frequency you’re improving your mood and your immune system. I can’t wait to hear of some of your experiences with essential oils. It’s opened a whole new world to me!! If you’re interested in my opinion of where to purchase quality, affordable oils, continue reading. For years I have been purchasing and using essential oils from some of the more popular multi-level marketing companies. It’s logical to understand that the cost of the oils must go up in such a scenario because each bottle sold has to do more than pay for the production of the product plus a profit. Several other individuals have their hand in the kitty which necessitates the increase in price. I’d much rather purchase my oils as direct to the manufacturer as possible. I figure that the fewer hands that touch it, then fewer hands compromise the integrity of the oil. I’m happy to say that Five Star Preparedness has recently launched their selection of essential oil blends. I believe that they are the group buy for August as well. I did some comparisons of their regular retail prices and those of other companies. Understanding that the Five Star oils are pure in the truest sense of the word, I couldn’t believe that the difference in price between theirs and other company’s was as much as 90% lower!! This means that I can have a true arsenal of essential oils and take my health and treatments more into my own hands rather than being subject solely to the medical community. To check into the group buy, go to www.fivestarpreparedness.com/groupbuy and just click on the Group Buy button. You mentioned the grounding properties of oils. Grounding is actually an electrical property of the oils. Humans are electric beings. Our brains, hearts, muscles, etc run on electrical impulses. Our bodies each conduct this electricity in a circuit which in turn creates "poles" on our body just like N pole and S pole. Human bodies are mostly water, which allows conduction in these circuits of electricity. The electricity must run in the right directions or else we get short circuits just like polarized appliances require electricity to run in the correct directional circuits. In humans the top of the head is N. The bottom of the feet and bottom of hands are south poles. The electrons run in a circuit. Grounding oils cause humans to "ground" to the earth, thereby helping prevent polarity problems and reversed polarity. Just like houses use to "ground" their electrical boxes to the waterlines so they would travel to the earth and be "grounded", certain essential oils resonate a frequency that helps humans "ground" to the earth and keeps the electricity in human bodies flowing correctly. Sometimes people hear all these words and think it is some weird supernatural thing, but in reality it is all based on the fact that everything has a certain resonating electromagnetic frequency. The earth resonates at 7.83 Hz. That's the whole reason they put Shumann Resonating boxes on space crafts. We, as earthlings, need that continual 7.83 Hz coming from the earth to help our bodies move electricity through them. When electricity doesn't move correctly in our bodies we can have irregular heartbeats, irregular brain waves that can cause mood swings or worse, irregular muscle reactions. If it is just a little off, that's not usually a big issue, but we know that death can result if there is a huge electric variance such as in epilepsy or severe heart arrhythmias. Sometimes, physical ailments or defects can cause short circuits in our electrical system. Sometimes it is related to chemical issues like when our electrolytes are off, and our bodies cannot correctly conduct electricity to all its parts. Sometimes people are just born with a short circuit in part of their hearts or brains. But if the oils can help ground us, to keep that electricity flowing in a correct directional circuit, then it is a great asset to our health. As a side note that 7.83 Hz frequency of the Schumann Box is also how EMF protection devices work such as qlinks, bionic bands, etc. If you ever get a chance to play with one at a demonstration somewhere, do it. They really do work, simply because they vibrate or resonate with that same 7.83 Hz frequency that comes from the earth. It's so simple and logical. Sometimes we don't see how simple alternative health options are because we have been conditioned to look for the bad or the magical rather than the simple and logical. You may or may not of covered this. I haven't been reading much lately due to being extremely busy. Lots of canning going on here. My question is, "is there a book that tells someone in SIMPLEST TERMS how to and what essential oils to use for certain conditions?" For example, if I had the flu, what essential oil do I use and how much of it. Also you mentioned using essential oils daily, with blends being especially helpful. How does one find out what to use and when. Or what to buy. Also which oils are the most important that one should stock in the medicine cabinet or put away in the preppers closet. Again, I apologize if you have covered this and I missed it. There isn't a small, simple book, unfortunately. That's because the world of essential oils is as vast as the world of medicine is. However, there are several great reference books you can find on Amazon.com. Also, doTerra sells a reference book that I find useful. Although a lot of it talks strictly about doTerra products which unfortunately are not all "pure" in the truest sense of the word, I would recommend the book as helpful. I cannot stress enough folks, be sure that you have the manufacturer verify whether or not any lesser oils are cut into your essential oil of choice. If almond oil or coconut oil or something else like that is part of the ingredient, then you are paying primarily for that oil and as little as only 10% of the essential oil. As to the rest of your question, Shelley, I think it would actually be worthwhile to look at the packages that Five Star has. They have an "Everybody's Treasure" package which includes several singles which are an ideal starting point. And they also have a "Everyday Life" package which contains several blends for just about every basic ailment that life brings regularly. 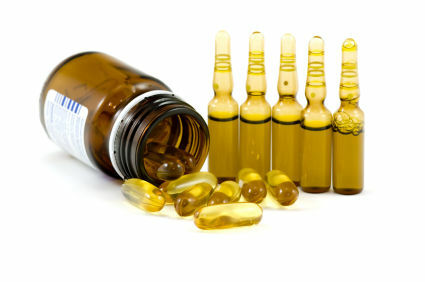 They've also put together packages which focus on more specifics such as female hormone problems, energy problems, etc. One of the cool things that Five Star did was get seriously educated. If you have a bugaboo, you can e-mail them what's going on and they can make a recommendation and even tell you why they are giving you such a recommendation. I think they would have been just like everyone else if they just stocked them and sold them. Like I've said in another article, if all you do is use one essential oil (pure, that is) everyday, regardless of what it is, you'll be benefiting your body. If you like the smell, use it. If you don't like the smell, chances are your body needs it, but you don't have to use it. You can stick with that which you're fond of initially until you get more in-depth with their beneficial uses. I've been studying them for years now, and I keep learning something new all the time. I went to the reference site, did not like that you must sign up first before viewing what they had to offer. Not to contradict anyone but I strongly suggest buying your essential oils direct from the manufacturer if you can do so. Lebermuth is where I buy mine, they are a direct manufacturer and their oils are undiluted pure concentrate and they do sell to the average citizen not just licensed vendors. And also yes, do go to the library and get some reference books on essential oils and their properties, it's very important that you know what you are using and check with a medical doctor before taking anything as some can give unpleasant side effects ie: Rosemary raises blood pressure. Actually, Anna, I believe you're misinformed. You do not have to provide anything to purchase from them (other than payment). They only require your e-mail to take advantage of the group buy specials. Otherwise you can pay regular retail. Also, rosemary does not increase your blood pressure if it's in a blend--which is what I was trying to convey in the article. By itself and in inappropriate amounts, it can indeed increase your blood pressure. Unfortunately, it's highly unlikely in today's world that any doctor will give you their blessing on the use of essential oils for ones own health. But getting your information from experienced practitioners of essential oils would be to everyone's benefit, which is why it's on my personal list of focuses this year. I've been loving every bit of it! I have been a direct buyer of the essencial oils and other products that you mention for some time. Dealing with that company is truly a pleasure and they know their stuff. Since you asked for experience with essencial oils...here is my success story. I have diabetes and when we get sores they are hard to heal. I tried many products on a sore on my thumb. They did not work. Including Tea Tree. You are absolutely right that you have to find the right oil or combination. It came to me, when my thumbnail was about to rot off, to use oregano essencial oil. It is highly antibiotic, antifungal, antibacterial etc. In two days the healing began. It was amazing. Even if an oil has the same properties as another oil, ie: tea tree vs. oregano, you still have to find the correct one. That is why combinations do work best, but with kineseology you can find the right one. I forget to test since it has been a while since I had confidence in myself in doing that. Habit as with religion or anything else is the key to much success. Mary, I love hearing stories like yours. Isn't it amazing what God has given us so that we can indeed be independent?! I love kinesiology. That is a whole new topic, that has such advantages in everyday life even in choosing foods or checking to see if your body needs specific scripts you get from the doctor. If it helps your body to be strong then it is good for you. If it weakens your body, then don't eat it or take it. Try holding a few sugar cubes one time and having someone check a SIM. Or holding your cell phone and checking a SIM. You are much stronger without it. Amazing topic. Thanks for the response... I'm very leery of using oils without alot of studying and consulting with a doctor. My dealings with Lebermuth, they have always sent me a MSDS sheet on what I am buying but you are correct, they have in recent years added blends to their stock. Love EO's though and thanks to the person who posted about Oregano I love that one too and have been meaning to order it. I saw recently someone had Basil eo which is another of my favorites for it's scent. So if I check the back of my essential oil and it says it is 100% (rosemary, lemon, etc) oil, then it is or it isn't? I bought a few bottles of the natures alchemy brand essential oils from the Vitamin Shoppe. Are these the real thing? Just because it says "100%" on the packaging, does not mean that it contains 100% essential oil as per the laws in this nation. They are allowed to label it 100% with only 2% essential oils in it. I certainly wouldn't purchase those oils.